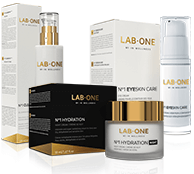 E-shop LAB1.PL, operating at the website: www.lab1.pl, is run by the company LAB ONE SP. Z O.O. with its registered office in Warsaw. Orders at the shop can only be placed by people who are 18 years of age or with the consent of a statutory guardian. All products offered in the shop are brand new and have a manufacturer's warranty applicable within the territory of Poland. All prices are gross prices and include VAT. The price given for each commodity is binding from the moment of directing the order for implementation. The price is binding both for the customer and the seller – the company LAB ONE SP. Z O.O. The company LAB ONE SP. Z O.O. reserves the right to: change the prices of goods in the offer, except for the situation referred to in paragraph 5, introducing new goods to the offer, conducting and canceling promotional campaigns and sales on the shop websites or make changes in them. The proof of purchase (receipt or invoice) is issued for each order. The contract of sale is concluded in accordance with the Polish law and in the Polish language between the buyer and the seller – the company LAB ONE SP. Z O.O. Recording, securing and sharing essential provisions of the concluded contract takes place by printing and providing the buyer with a VAT invoice or order specification. In order to conclude the contact of sale via an online store, go to the website: www.LAB1.PL, select the goods, take further technical steps based on the messages displayed to the buyer and the information available on the website. The shop confirms receipt of the order via e-mail within 24 hours of its receipt, while reserving the right to withdraw from the contact of sale within 5 business days from the date of placing the order by the buyer. Acceptance of the order by the store for implementation begins after confirmation of the buyer's data and: in the case of orders payable on delivery - after receiving the information about placing the order, in the case of orders paid by bank transfer - after receiving the payment to the bank account. with delivery outside the territory of Poland: bank transfer. If - after placing an order - it turns out that the ordered product is currently unavailable, the buyer will be informed immediately by e-mail. In the event of such a situation, the buyer decides about its implementation (increasing the waiting time or cancelling the order). The buyer may cancel the order or make changes to it only until it is shipped. The moment of the e-mail confirmation of placing the order is the last opportunity to correct the incorrectly provided personal data or an incorrect order placed by the buyer. If there is incorrect data on the fiscal receipt or invoice, the buyer should issue a corrective note in accordance with the Regulation of the Minister of Finance. The total change of the buyer’s details is not possible. In the event of orders over the amount of 300 PLN or products imported to an individual order, the shop has the right to make the order processing dependent on the advance payment by the buyer. The shop delivers parcels to the buyer via a courier company. The shop does not allow personal collection of orders. Shipments are delivered within the territory of Poland and other European Union countries (additional fee for international shipments). The buyer is obliged to collect the ordered goods and settle the amounts due for ordered goods in accordance with the chosen form of payment. Damaged or defective product should be sent to the address of the company: LAB ONE SP. Z O.O. with the note "Complaint". The cost of the returned goods is returned by the shop after receiving the parcel and positive consideration of the complaint. All complaints are processed within 7 business days from the date of their receipt. The damaged product will be exchanged for a full quality product. If it is not possible to exchange the product, the shop will return the equivalent of the product price and shipment to the buyer, or offer a different product. The buyer may withdraw from the contract and cancel the purchased product without giving a reason within 14 days following the date of delivery of the parcel, among others, on the basis of a ready-to-use template of the statement of withdrawal from the contract. It is necessary to submit the statement of withdrawal from the contract with the returned product. The shop guarantees a refund of the amount equal to the price of the goods within 10 business days by bank transfer to the account indicated by the buyer with all payments, including costs of delivery of the item, provided that if the buyer has chosen the manner of delivering things other than the cheapest method of delivery offered by the shop, only the costs of the cheapest ordinary delivery method will be returned to the buyer. Recipients of the Buyer's personal data will be accounting, logistics (including courier companies), marketing. The Buyer's personal data will be kept for the duration of the contract and after its performance or withdrawal of consent only to the extent possible to seek possible claims before the court or if national or EU regulations or international law oblige us to retain data. The controller has the right to share personal data of the Buyer with entities authorized under the applicable law (e.g. law enforcement authorities). The Buyer has the right to access his or her data and the right to rectify, delete, limit processing, the right to data transfer, the right to object, the right to withdraw consent at any time without affecting the lawfulness of processing. The Buyer has the right to lodge a complaint with the Office for Personal Data Protection when the Buyer thinks that processing of personal data concerning the Buyer violates the provisions of the GDPR. Provision of the personal data by the Buyer is a condition for conclusion of the contract. The Buyer is obliged to provide it and the consequence of failure to provide the personal data will be impossibility to conclude and perform the contract. The Buyer's personal data will not be processed in an automated way, including in the form of profiling. The controller has implemented pseudonymisation, data encryption and introduced access control due to which minimizes the effects of possible data security breaches. Personal data is processed by persons authorized only by the controller or the processor who the administrator works closely with. All information, product photos, trademarks of manufacturers are protected by copyright. It is forbidden to copy them and distribute them, use them for commercial purposes or presentations without the consent of the owners. All disputes will be resolved by amicable parties and in the event that such an agreement is not possible, the dispute will be resolved by the competent common court. Consumers also have the option of resolving disputes electronically via the ODR platform (online dispute resolution), available at http://ec.europa.eu/consumers/odr/. Placing an order means accepting the provisions of these Regulations. The information provided on the websites www.LAB1.PL does not constitute an offer within the meaning of the Civil Code. In matters not covered by the regulations, the provisions of the Act on the provision of electronic services, the Act on consumer rights, the act on personal data protection, the act on copyright and related rights, the Civil Code and other mandatory provisions of Polish law shall apply. Taking care of Consumer's rights is one of the priorities of the company LAB ONE SP. Z O.O. Therefore, the provisions of these Regulations are not intended to exclude or limit any Consumer rights due to them under absolutely binding provisions of the Law, and any possible doubts should be explained in favour of the Consumer. In the event of the possible non-compliance of the provisions of these Regulations with the above-mentioned provisions, the provisions of the Consumer Rights Act prevail and they should be applied.